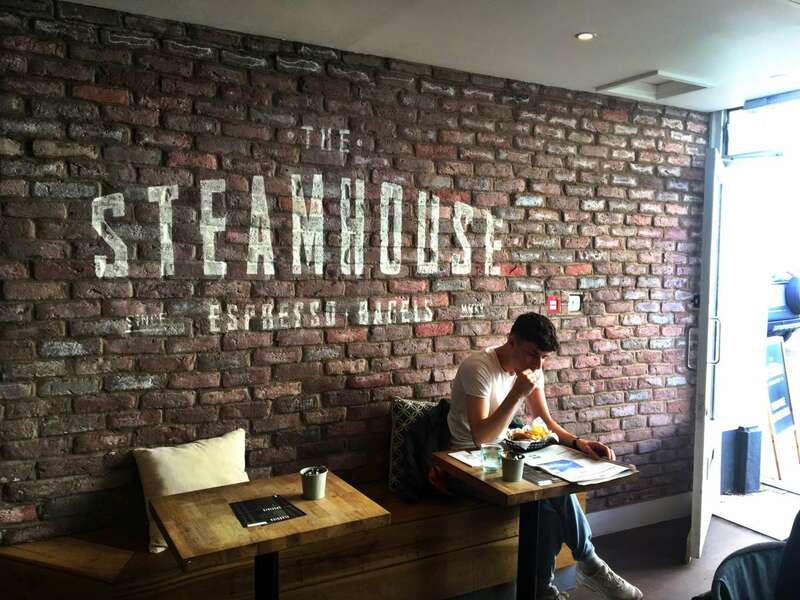 The Steamhouse is a fairly new café that opened up in the centre of Leamington Spa approximately 6 months ago. It has generated buzz for being a specialist bagel shop that serves freshly baked American deli style bagels. I first heard of it about two months ago from my colleagues who were highly praising it for being a new unique café that serves great coffee and delicious bagels. I had been somewhat apprehensive about visiting it until recently since I’m not a massive bagel lover myself, but because I am such a passionate foodie and love supporting local, quirky cafes, I finally decided to make my way to this charming little café. At first, I was surprised by how busy it was! There seemed to be people coming in and out of it constantly, grabbing their coffees and bagels on the go. Others were sat down with their friends and families, thoroughly enjoying their food. 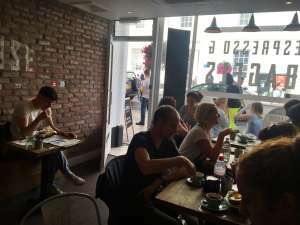 Although the café itself is very small, it has a very pleasant atmosphere as the busyness of the café, mixed with its somewhat American inspired décor, creates the vibe of how one might feel amidst the city of New York – the smell of coffee, the aroma of the fresh bagels and the fast pace of the place creates that hectic yet fun city vibe. For a moment, I almost forgot that I’m in the small town of Leamington Spa altogether! 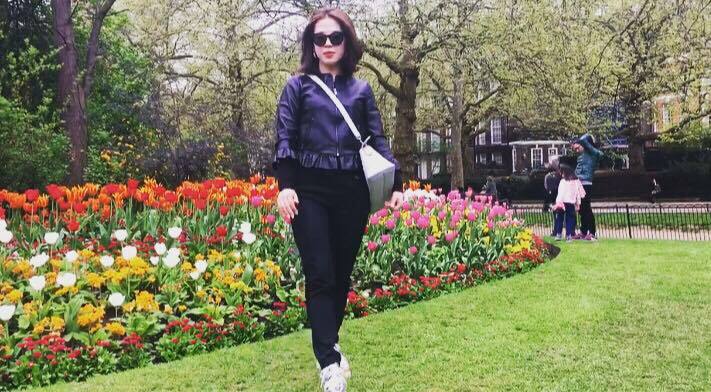 The staff were very friendly and efficient, getting everyone their orders a quickly as possible despite being very busy and were knowledgeable of their products. 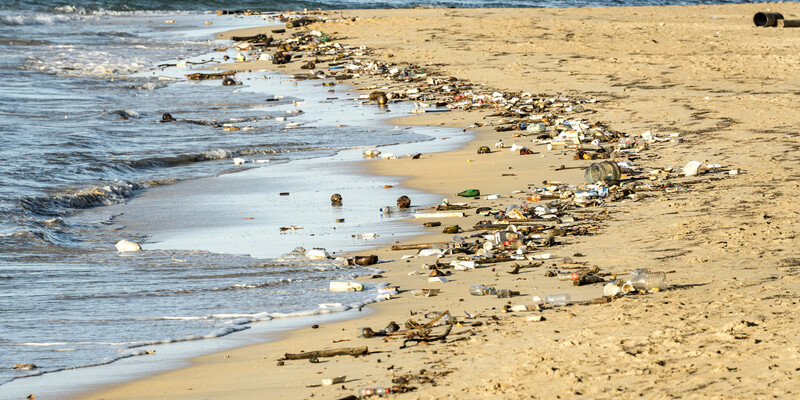 The place itself was also perfectly clean and fresh, and all the tables were occupied by bagel lovers, and those that were free did not stay empty for long. Being a vegetarian I was curious to see what kind of veggie and vegan options they had to offer, since my only preconception of bagels was that they were always made with cheese and some sort of ham. I was surprised to see the variations of bagels you could have, from the bagels themselves – having your standard plain white, or ones with poppy seeds, sesame seeds or wholemeal – to the numerous fillings they had to offer. On my first visit, I had a vegan wholemeal bagel called ‘The Yogi’ which had falafel, peppers, mango chutney, hummus and leaves in it. Although this sounded like the perfect combination since a large portion of my diet consists of falafel and hummus, I found the wholemeal bagel made the whole thing a bit too dry for my taste even though I enjoyed the filling. On my second visit, I decided to opt for a combo that was more of a ‘classic’ style bagel, which was a white sesame seed bagel called ‘The Greek’ which was filled with hummus, halloumi, avocado, honey mustard dressing and leaves in it. This was far more successful option as the cheese and avocado made the bagel less dry and I thoroughly enjoyed it, I finally found myself being converted to the dark side! With my bagel I also grabbed something called the ‘Dirty Chai’ which was basically a chai latte with a shot of coffee in it, and being the biggest lover of chai lattes I thoroughly enjoyed this unique blend of flavours. They were also kind enough to accommodate my choice of having the chai latte with soya milk instead of normal milk. 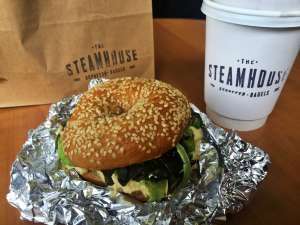 I was very excited to visit the Steamhouse after hearing so much buzz and positive reviews about it, so having made my way there twice now and tasting different bagels that they have on offer, I am proud to say I am a bagel convert. 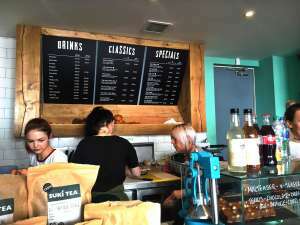 To anyone looking for something easy to grab on the go, whether you’re on your way to a uni lecture or are on a lunch break at work, this charming little café is affordable, tasty and is just something special that you must experience for yourself! Make sure to like them on Facebook too as they have a very unconventional little count machine in the café that switches its numbers when you give their Facebook page a like.